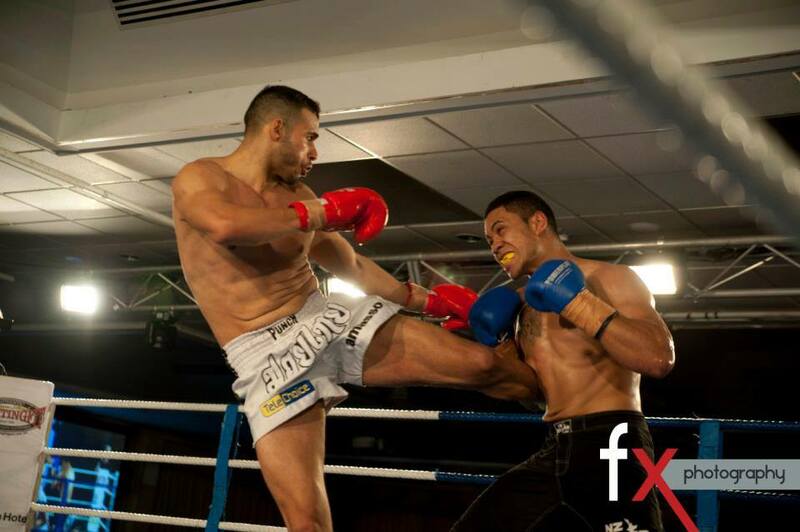 [Fighting] comes down to you,” says Hasem Abdallah, undefeated protégé of Kelly Seif, fighting out of XFC Gym in Carrum Downs, Victoria. It’s a simple but functional understanding, and has stood Haysem well in a sport which has become something of a family business for the Abdallah clan. He holds the ISKA Australian titles at light heavyweight and heavyweight, the WKA Australian title at light-heavyweight and the IKBF International title, all featuring as part of an eighteen- and-zero undefeated record. 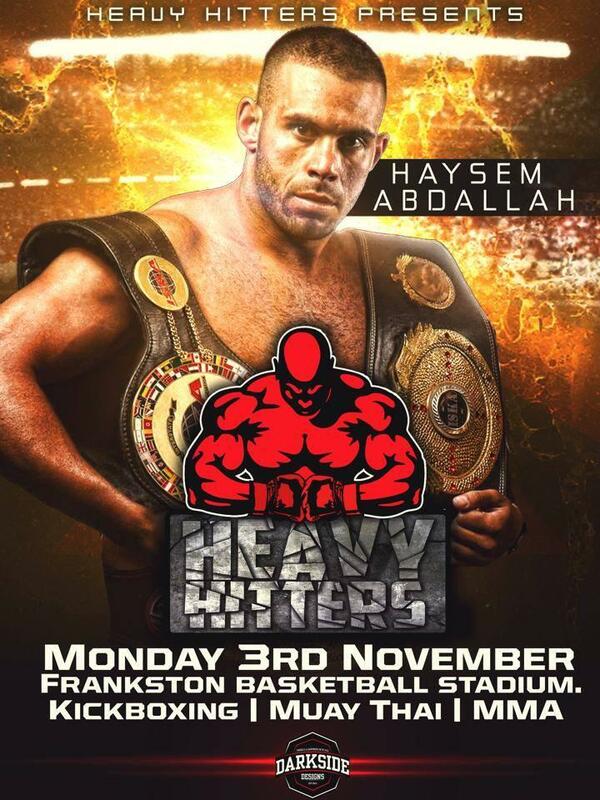 Haysem’s brother, Jamie, trains alongside him and is the current AFC Light-Heavyweight title-holder. “I’m not going to lie; it’s always hard to watch somebody try and hit your brother, [but] I’m always in his corner and he is always in mine,” says Jamie. While the boys’ mother is not entirely thrilled about it, their father was the driving force behind their career in the martial arts. What started as a sporting interest for his children soon came to play a more vital part in their lives. At that point, Haysem’s father intervened. Kelly has always been a fight-oriented trainer and had just the suggestion. While Haysem’s father may be excited by his son’s burgeoning career, other members of the family are less than pleased. “We have a pre-fight ritual which my mum does for myself and [Jamie] every fight, [and] so far it’s worked for both of us.” Their father is less perturbed by the competition. Haysem has an indefatigable support in his brother, Jamie. The fact that the brothers have separate interests helps keep them running on parallel lines. If there is any kind of dispute hanging in the air, they are quick to sort it out. “I spar Jamie two to three times a week. We’ve [done] some heavy rounds, which freaked people out at the gym. They just don’t understand how we can unload on each other and at the end of the round touch gloves and hug. Jamie shares his brother’s unselfish attitude to sparring. Naturally, with a training partner who is a successful MMA fighter, there has to be some sort of cross-pollination taking place. 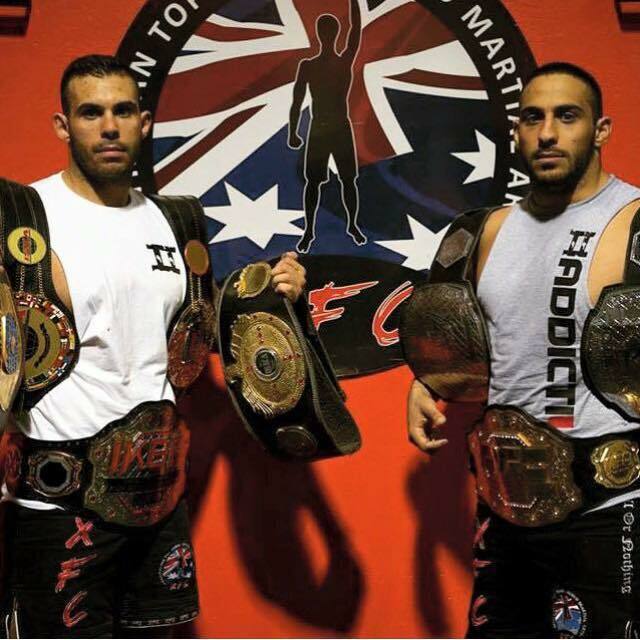 The brothers are well-positioned to succeed, having opened their own XFC gym in Carrum Downs. Spending so much time together seems like a stressful undertaking, but Jamie thinks they have it sorted out. Fortunately for the Abdallah brothers, Master Kelly’s dedication extends beyond the usual nine-to-five expectations. Thailand provides a focused, distraction-free environment for Haysem to bring his life into focus. Haysem is yet to fight with elbows, but isn’t averse to the idea. As far as tough fights are concerned, Haysem elects Jamie Eades as his most challenging opponent to date. Rob Powdrill is one of the most dominant forces in Australian kickboxing. The mention of his name raises the obvious question. This entry was posted on April 10, 2016 at 10:01 am and is filed under Kickboxing, Martial Arts, MMA, Muay Thai with tags AFC, AKA Thailand, Dragon Muay Thai, Haysem Abdallah, Jamie Abdallah, Jamie Eades, Kelly Seif, Rob Powdrill, Tiger Muay Thai, XFC. You can follow any responses to this entry through the RSS 2.0 feed. You can leave a response, or trackback from your own site.